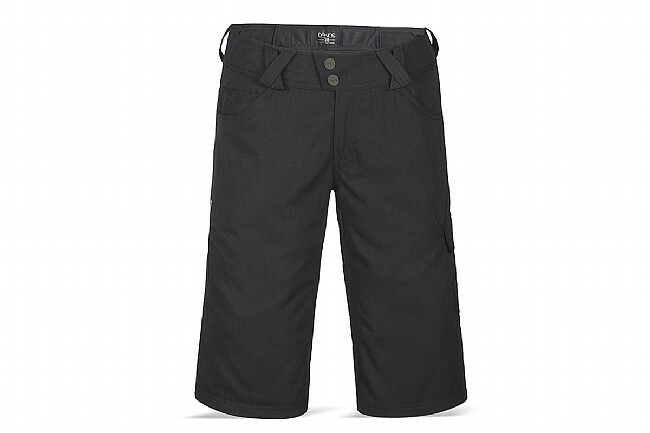 When the going gets tough, the tough get the Women's Mode Short. The Black option is made from heavyweight 165 g polyester canvas and the Harbor blue from durable 165 g Nylon twill, both with a DWR coating to ward off showers and mud bogs. The cut is designed to fit over knee pads, and there's an elastic loop for a lift pass in the left front pocket, which is convenient to have at any lift-access bike park. A mesh lining with zippered inner leg vents provides superior breathability, and interior waist adjustments plus a stretch rear panel ensure the perfect fit. Storage is ample with front hand pockets with separate key pouch, a zippered rear pocket, and an additional zippered pocket on the right thigh.